The fishing has just continued to fire right in the harbour and out wide. The middle grounds seem to be a bit quieter - snapper wise that is, as the kingfish are prolific in all areas! We have been fishing a big area around the squiggles in 45-50mtrs with great success. While the fish are not huge, there are numerous pannies here in the 40-50cm range. 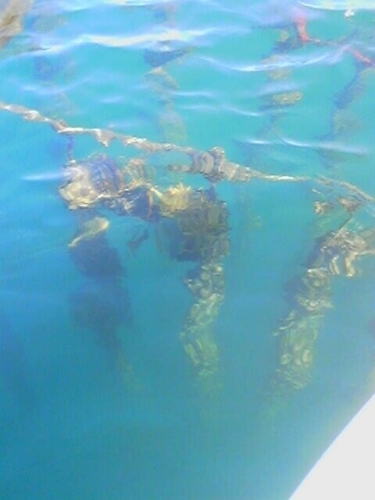 We are finding mountains of snapper piled on top of each other in typical spawning mode. They are not always hungry but when they decide to feed it is all on! After only six snapper being caught all morning on sign like in the image below, we decided to stick around for the change of the tide (low), after which it was all on. In that session, we manage another 50 in 1 hour. As you can imagine my deckie and myself were very busy netting and dispatching snapper with eight-way hook-ups! 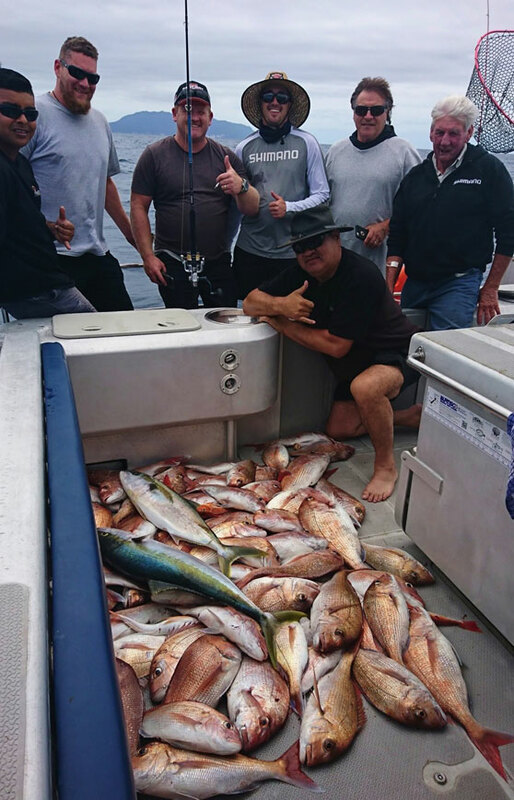 We are also getting quite a few legal kingfish out of these epic snapper sessions, and they are always a welcome bycatch on the light snapper gear. The lures that are performing the best in these areas and conditions are the 200g kabura style. I am always changing the head/skirts colours to see which ones work the best and am finding that each day is different. The best colours have been in this order: orange head with orange/yellow skirts pink head with pink and red skirts green head with green and red skirts yellow head with yellow and brown skirts. I am making my own skirts up and mixing colours to see which ones work best. The fish seem to move one to two nautical miles each day as tracked on my Navionics app. I have found one really good area that I call the "supermarket" due to its consistency! Looking at my diary, the top of Coromandel usually starts to go off at this time of the year so we will be venturing over there in the next month in search of the bigger moochers (60-80cm) grazing on the crustaceans on the contour lines. In closer, the inner harbour should only get better. I find that the outgoing tide provides the best fishing, as the fish come out after spawning and are very hungry. We use the same lures in the inner harbour as we do out wide but change down in weight as required. Nik Key is a tutor, guide, lure tester, author and charter skipper. Capt Nik (Snap) - 021 596 074 "Nothing ventured nothing gained." Check out what we have been up too on - Instagram & Facebook.